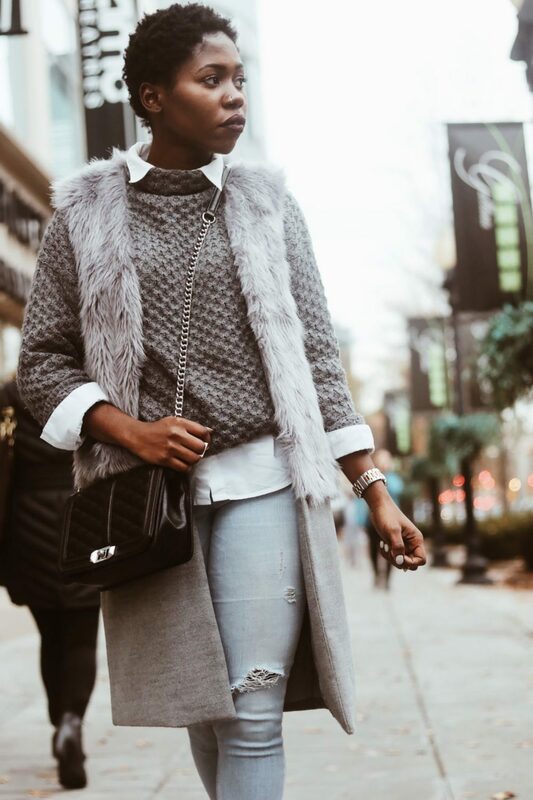 Combine different textures, like lace underneath a knit top, or a denim jacket under a wool coat, to create interesting, unique outfits. 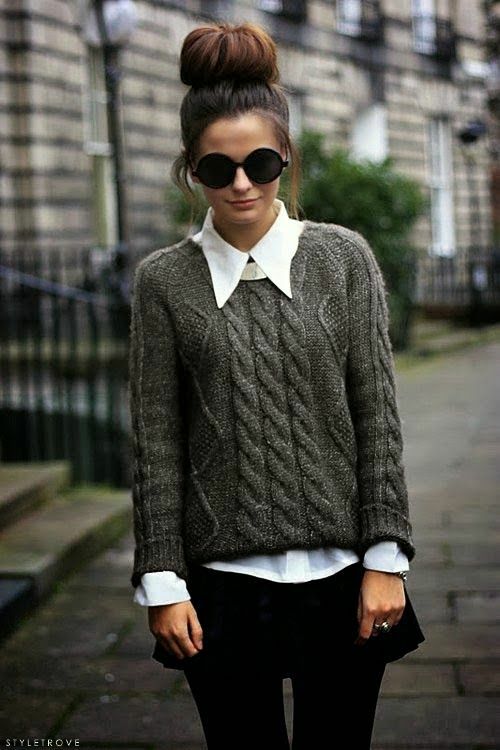 Embrace the classic collared shirt/knit sweater look. 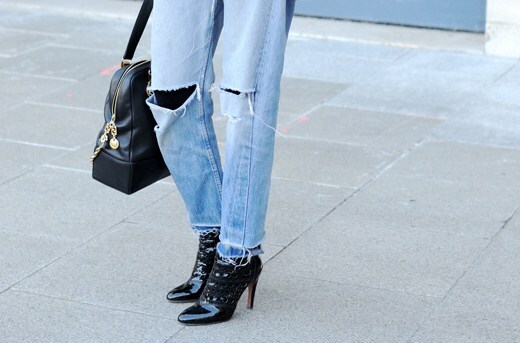 Wear tights under ripped, baggy jeans to keep your legs warm. Layer different shades of the same color. 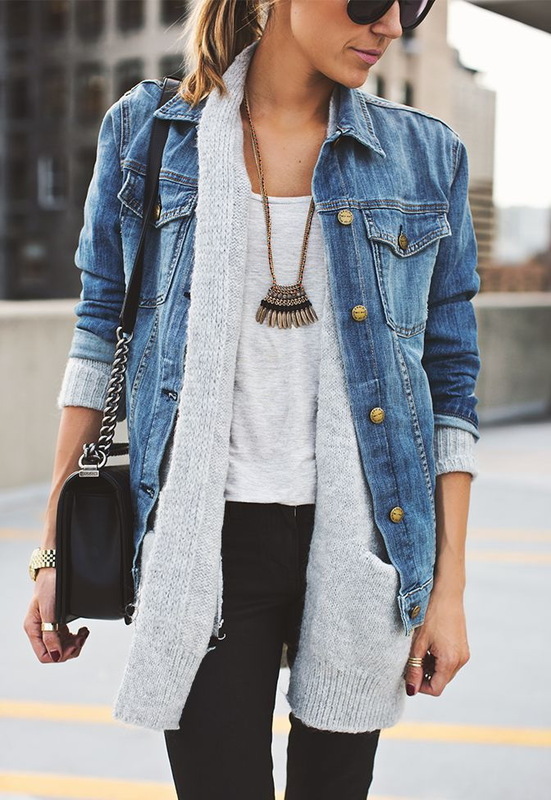 Shades of gray and blue work especially well. Wear a camisole under tops if you don’t want your extra layers to show. Don’t be afraid to dress up. Literally. Fleece lined tights are a must-have! Wearing a camisole dress over a turtleneck is a super edgy look, especially when paired with a choker. Sweater dresses are comfortable and cute. Pair mini dresses with big, fluffy cardigans. Top off your outfit with a belt to cinch your waist. Pair chunky, shapeless tops with figure-hugging pants. Kim K’s favorite trick won’t hide your cute top. Add knee high socks under boots for an unseen layer of warmth. Wear thigh high boots with miniskirts/dresses. The 90’s are back y’all. Velvet tracksuits are especially soft and chic. 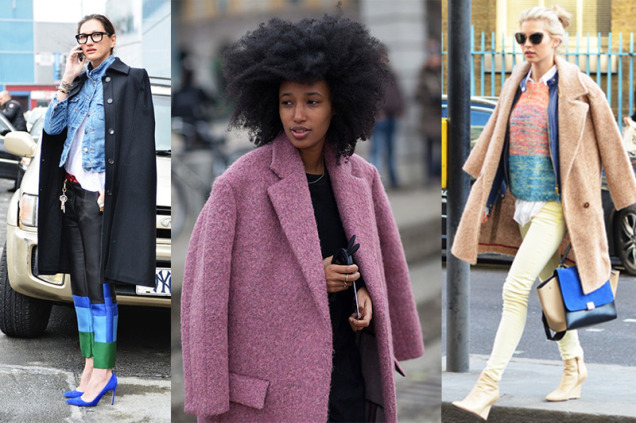 Spice up any boring winter outfit with a pop of color!